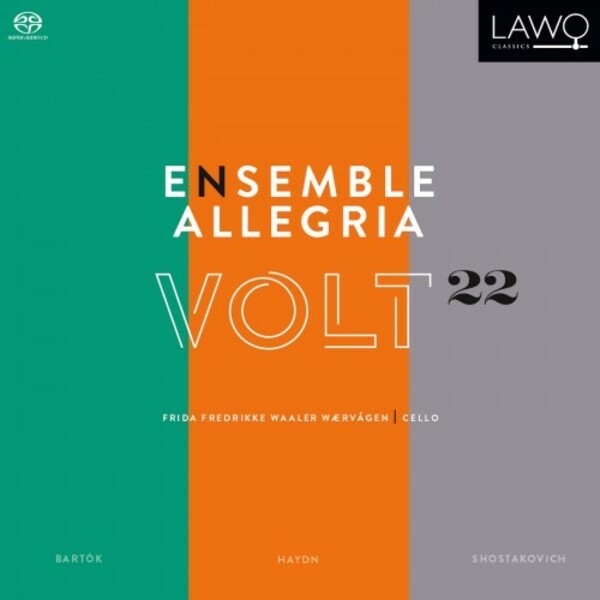 In this recording, aptly called VOLT 22 for the 22 string players, they meet with three composers - one still full of youthful vigour, the other two past middle-age and looking back. Admittedly, it is difficult to put all three of them into one framework: Haydn lived his life under quite different circumstances, both personally and socially, from Bart�k and Shostakovich. Although the Seven Years� War (1756-63) was practically fought on Haydn�s doorstep, it is hardly noticeable in his first cello concerto. The Second World War and its consequences, however, certainly had an impact on the music of B�la Bart�k and Dmitri Shostakovich. Bart�k saw it coming when composing in 1939, while in 1960 his Russian colleague was lucky to have survived it. In the shadows of Hitler and Stalin, a quite different atmosphere characterizes their works. Nevertheless, the three works in this recording are all bursting with extreme contrasts, containing both intensity and contemplation. Thus they challenge Ensemble Allegria and their principal cellist, Frida Fredrikke Waaler W�rv�gen, in a most welcome manner.